The secret to making excellent strawberry cake is, of course, the strawberries. They must be the plumpest, juiciest and tastiest strawberries that can be found. They should not be like most strawberries bought in supermarkets, hothouse grown, and tasting like water. 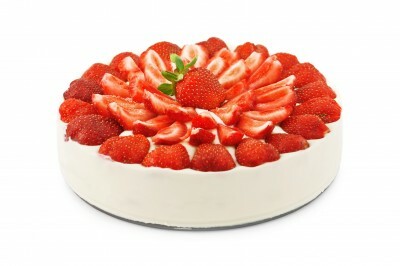 The cook should ideally go to their nearest farmers’ market and spend some money on good quality strawberries, or, if they’re inclined, find a strawberry farm, pick a peck of them, rush home and start cooking the strawberry cake right away. Strawberries, like other fruits and vegetables, deteriorate and lose their flavor and nutrients the longer they’re allowed to sit. The peak season for strawberries is May and June. If the cook is picking their own, they should choose fruit that pulls away easily from the stem. Unlike other forms of cooking where the cook can use their intuition, baking really requires accuracy. Baking, after all, is a species of chemistry. A level cup of flour really does mean a level cup of flour. To skimp on ingredients will result in a cake that’s less than it should be. A recipe should be followed closely and measurements should be accurate. The oven must be the right temperature, the pans should be properly greased and floured and they should be of the right size. Here’s the recipe for an excellent strawberry cake. Butter and lightly flour a 9 inch square cake pan. Cream the butter, then slowly add the sugar and beat until light. Add the strawberries, eggs and vanilla and beat well. Mix the flour, baking soda and salt and add to the flour strawberry mix and blend. Slowly add the sour cream and beat until well blended. Pour the batter into the cake pan and bake for about 45 minutes or until a toothpick or knife inserted into the cake’s center comes out clean or with only a few crumbs. Cool in the pan for five minutes, then turn out onto a rack. Allow to cool completely and frost. Here are some frosting recipes. Mix the butter, cream and rum in a bowl. Slowly beat in the sugar till thick and creamy, then frost the cake. Mix the butter, sugar, milk and salt in a medium pan. Bring to a boil over moderate heat, then boil without stirring till the mixture achieves the “soft-ball” stage, or about 234 degrees F. Let it cool, then beat till it’s thick enough to spread. Add the vanilla. Author of this post usually gets sweet inspiration by visiting cake decorating classes Brisbane website. 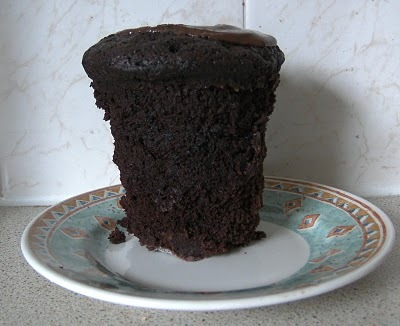 Our guest blog chef this week is Keli with this fantastic Mug Chocolate Cake recipe. Enjoy! Easily the most deadly recipe on the web as it allows you to create a chocolate cake at any time of the day, in just 5 minutes, this delicious cake is the perfect late night snack. Mix your flour, sugar and cocoa together in your mug, then introduce your egg. Mix well until it becomes pasty. Pop into your microwave for 3 minutes (if you have got a 1000w oven) or 4 minutes (if you have got a 700w oven). Check it is set and serve warm. As you can see this recipe is VERY quick and VERY easy. My name is Keli and I love to bake, I love to get my kids involved and I love finding quick and easy recipes. Not everyone has the time so visiting an online bakery would be the perfect alternate solution. Cake Recipe Secrets is committed to client service and this policy outlines our ongoing obligations to you in respect of how we manage your Personal Information. Cake Recipe Secrets will not charge any fee for your access request, but may charge an administrative fee for providing a copy of your Personal Information.